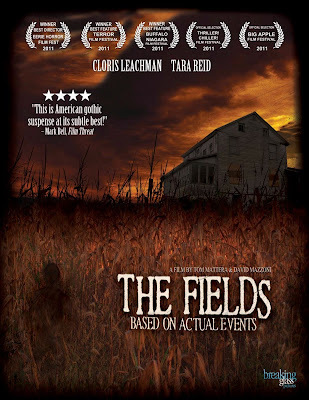 Academy Award winner Cloris Leachman’s (Fox’s “Raising Hope”) thriller The Fields is coming to Blu-Ray (SRP $29.99) and DVD (SRP $24.99) from Breaking Glass Pictures (5 Star Day, Cropsey, The Living Wake). Written by Harrison Smith (Six Degrees of Hell) and directed by Tom Mattera and David Mazzoni (cult favorite The 4th Dimension), the film also stars Tara Reid (American Reunion) and newcomer Joshua Ormond (Sundance hit Robot and Frank). Meanwhile, Steven hears news of the notorious Manson Family and their gruesome killing spree. He develops a morbid fascination with the murderous cult and at the same time he can't help but be drawn into the mysterious cornfields. Eventually he enters the fields, where he makes a terrible discovery. Then, menacing noises begin haunting the family from outside at night and soon turn to violence. Though Steven's family tries to protect him, whatever's lurking in the fields is about to make their lives a living nightmare. 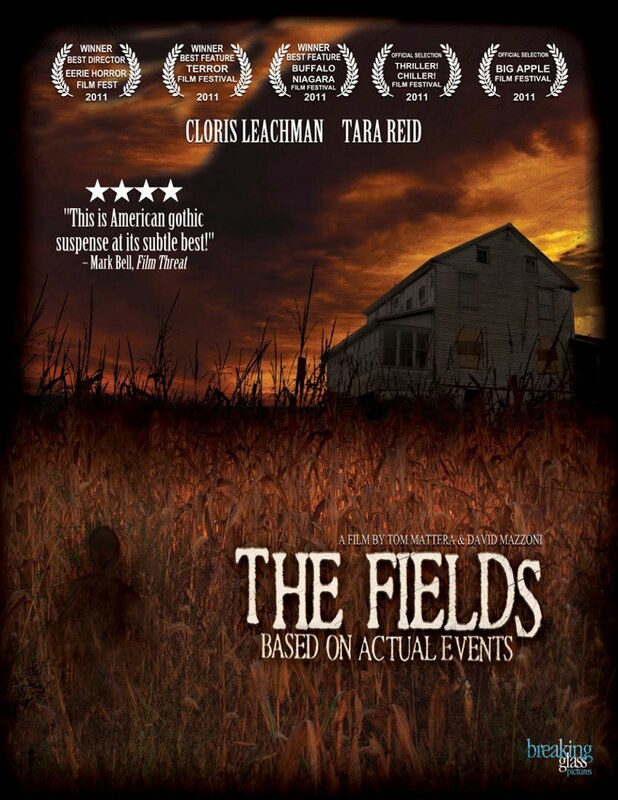 The Fields enjoyed critical acclaim and audience approval on the festival circuit. Among its awards are: Erie Film Festival (Winner Best Directors, Best Actress for Leachman), Terror Film Festival (Best Feature, Best Actress for Leachman, Best Emerging Actor for Ormond), Philadelphia Terror Film Festival (Best Picture, Sound Design, Score, Emerging Actor for Ormond), and the Buffalo Niagara Film Festival (Best Picture). The DVD and Blu-Ray will hit shelves on April 24, loaded with special features including a making-of documentary, behind-the-scenes footage, hilarious Leachman outtakes, interviews with the real people involved, and clips from the world premiere.